Would you like to try out NutriGout for FREE? 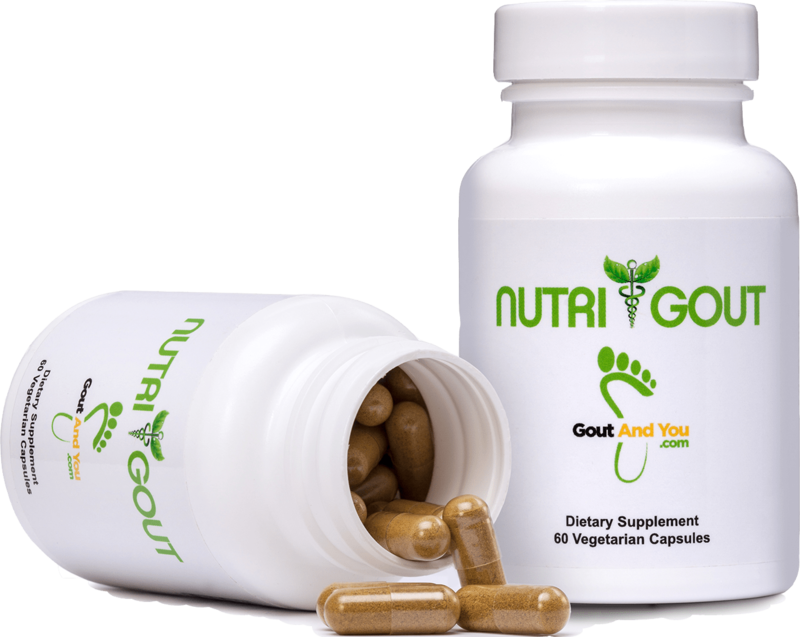 Enter the chance to win a free bottle of GoutandYou.com’s NutriGout Uric Acid Lowering Formula (a $29.95 value) which has 6 key ingredients: turmeric, celery seeds, dandelion extract, bromelain from pineapple, milk thistle and chanca piedra. NutriGout contains natural painkillers and anti-inflammatories that can help your body's natural healing ability and help you get back on your feet. Afterwards, the goal is to accomplish and maintain healthy uric acid levels by using these 6 natural ingredients that have an alkalizing effect in the body and other natural ingredients that hinder the body from turning purines into uric acid. GoutandYou is the leading and most recognizable gout brand in the world! We’re passionate about gout at GoutandYou.com. To enter the free NutriGout Weekly Giveaway simply add your name and email address into the fields on the right to be in with a chance of winning. Every Monday we will declare a winner at random and they will be notified via email. The competition ends at 11:59pm on the 31st of March 2017. Legal residents of the United States, 18 Years and Older. Disclaimer: This promotion is in no way sponsored, endorsed or administered by, or associated with Facebook. You understand that you are providing your information to Smart Cookie Solutions Inc. and not to Facebook. By entering in this promotion, you agree to a complete release of Facebook from any claims.